The full list of free cars Forza Rewards members get in Horizon 3. 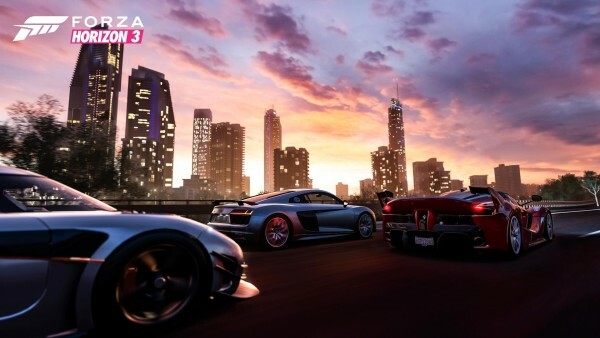 Forza Horizon 3 continues the tradition of rewarding series fans who bought older Forza games, as well as those who played them for more than the first few days. Developer Playground unveiled full details of what Forza Rewards members will be getting in-game when Horizon 3 comes out in September. Every tier gets a unique free car in the game, from tier 2 through tier 10. In addition, if you’re tier 3 or higher, you’ll get your tier’s car as well as all the others below it. On top of that, those who played Horizon 2 on Xbox One get the 2014 Local Motors Rally Fighter, and those who played Forza 6 will get the 2017 Ford Raptor for free. If you’ve been a VIP member in either either game, you also receive the 2015 Koenigsegg One:1. As is always the case with Forza Rewards, the more you play, the higher your tier is. So you could conceivably climb up a tier or two from now until launch. Forza Horizon 3 is out on Xbox One and Windows 10 PC September 27.